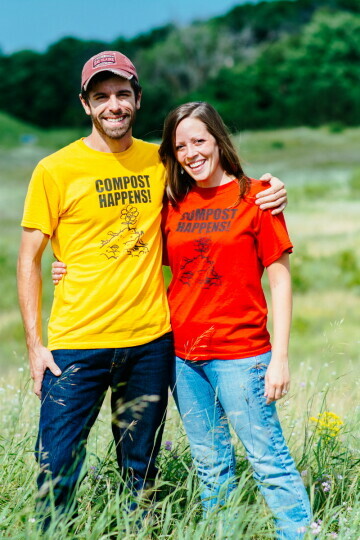 An Eau Claire environmental company that offers curbside compost collection is campaigning to be a finalist for $50,000 from the FedEx Small Business Grant Contest. Earthbound Environmental Solutions – which picks up compost (including food and yard waste), recyclables, and refuse – is the only Eau Claire business, and one of only about 160 from Wisconsin, competing in the contest. The first round of the competition runs through April 1. Between now and then, you can vote online for Earthbound once a day. With enough votes, Earthbound could advance to a round of 100 finalists that will be shortlisted on April 5. Final winners will be announced on April 29. To learn more about Earthbound, and to find out how you can cast your vote (or votes!) online, visit facebook.com/EarthboundEnviro.